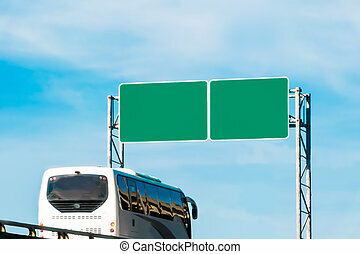 Bridge highway with blank sign. 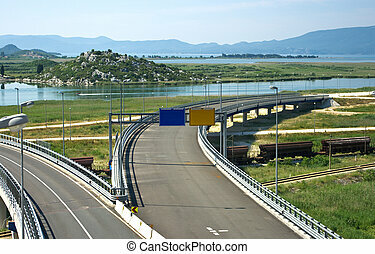 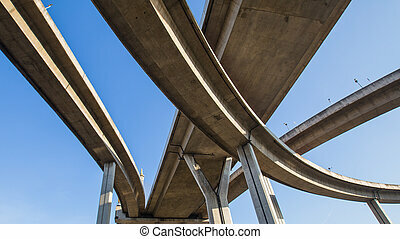 A highway of a bridge. 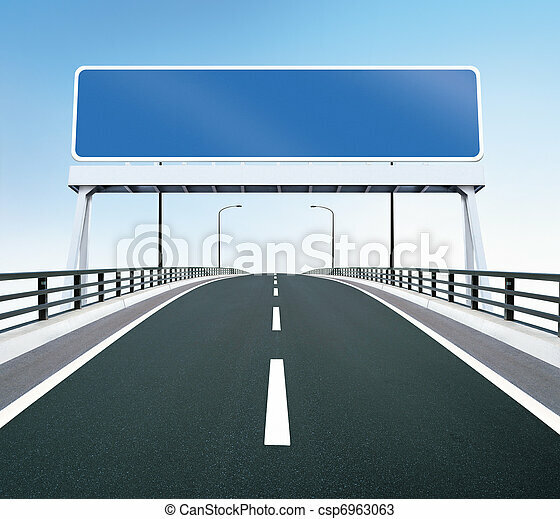 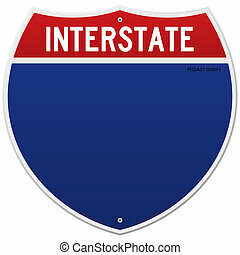 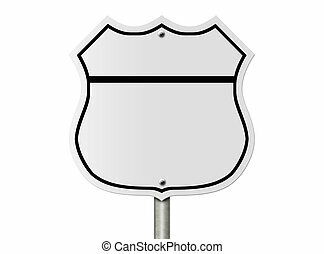 a blank highway sign with room for your text. 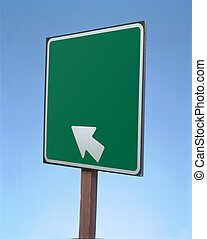 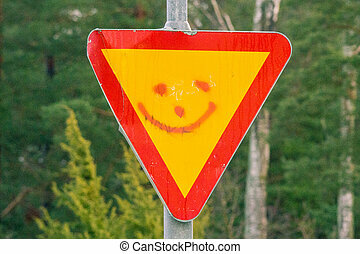 Blank green highway sign with an arrow pointing. 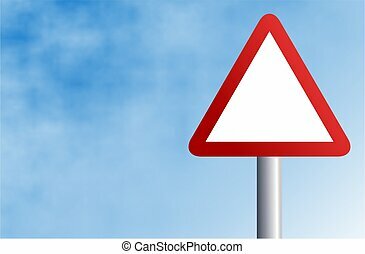 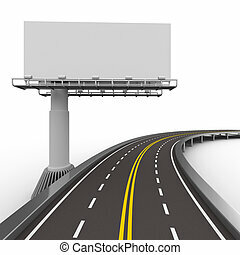 Strategy blank sign as a clear plan and solutions for business leadership with a straight path to success choosing the right strategic road with a green highway signage with copy space on a sky background. 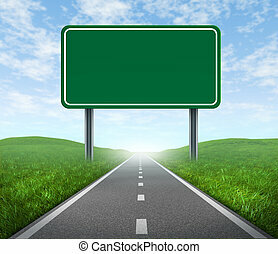 Road with blank highway sign with green grass and asphalt street representing the concept of journey to a focused destination resulting in success and happiness. 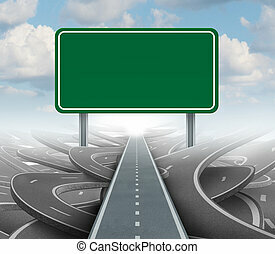 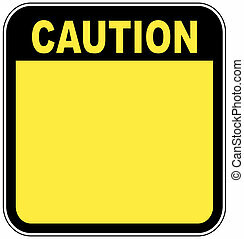 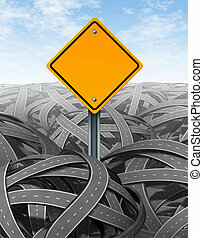 Challenges symbol with blank yellow road sign for Solutions and answers for success with clear vision and strategy finding the clear path through a maze of tangled mess of roads and highways cutting through the confusion and succeeding in business and life. 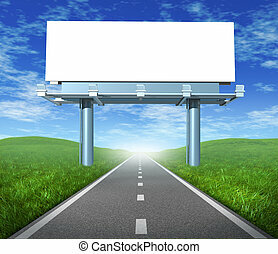 Blank highway billboard sign in an outdoor display showing a road representing the concept of focused advertising and marketing communications to clients and consumers to promote and sell a brand. 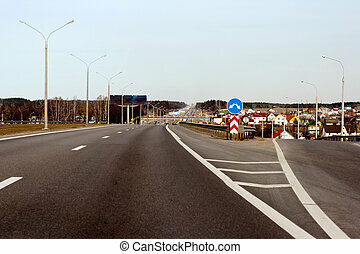 A Rural crossroad with blank signs .